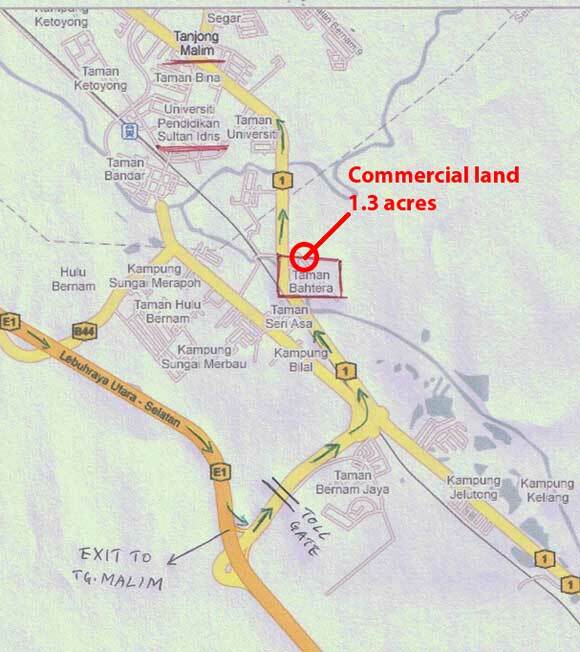 The subject property is only about 3 km from the Tanjong Malim North-South Highway exit. It is located in Selangor and infrastructure is fully available here. Surrounded by a college and a hotel and some shops.